If you missed #20 click here. Best Moment: Catching and merging monsters. You can get some incredible looking beasts by merging the right two together! I feel sorry for the Jade Cocoon makers because they had something good going on and they got sucker punched big time. 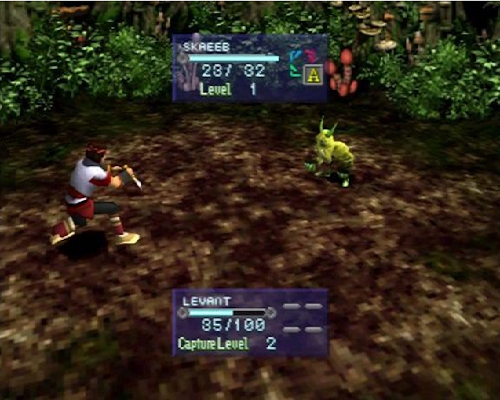 Back when this game came out, it was considered to be a Pokemon ripoff, Sony's attempt at trying to make a Pokemon-esque game on their console to compete with Nintendo's Pokemon megahit. For some reason very few people played this game, and those that did got a really good game, that, capturing beasts aside, had very little in common with Pokemon. They released a second game on the PS2 that didn't sell well either. 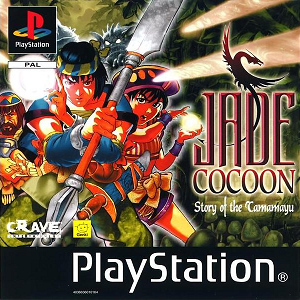 Now Jade Cocoon has pretty much faded into obscurity, apart from to be mentioned by fans of the now cult classic. Where as Pokemon has continued to become a worldwide phenomenon. Jade Cocoon allows you to capture beasts and use them in battle against other beasts in the forest. That's pretty much all the two games have in common. Beneath that is a very deep and rich story in Jade Cocoon, where as you, a lone cocoon master, must venture into the forest to try and find a cure for the people of your village, who most have fallen into a deep sleep. The journey starts off that way but gets deeper and darker as you start to unravel your past and question your relationship with your friends and even your wife. It's a great game, if a little short, that really got overlooked by far too many people. If you're looking for an RPG on the PS1 that is not called Final Fantasy, give this a go. Want to see what came in at #18? Click here!